Due to Malta’s proximity to Italy and its location on the stunning Mediterranean Sea, you probably assume that Malta is an an expensive country to live in, but surprisingly, it’s not! Based on our firsthand experience living in Malta for two months, we can say that the cost of living in Malta can be as expensive, or inexpensive as you like. 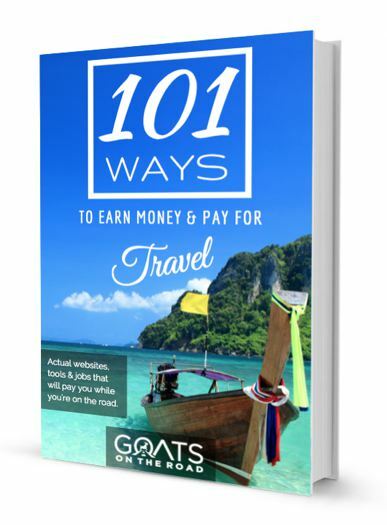 Sure, Malta isn’t as affordable as Mexico or Thailand, but this country offers excellent value for money and a western lifestyle. After spending two months living as Digital Nomads in the city of Sliema, we now have some useful information to share with you. 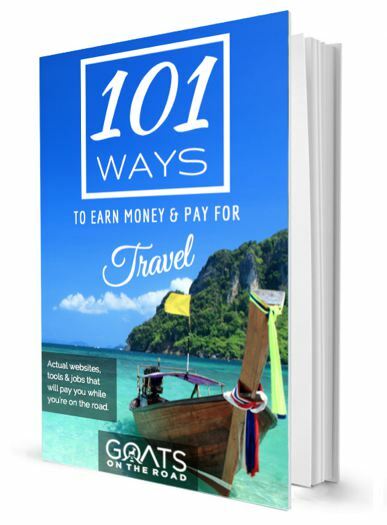 In this guide I’ll break down the cost of living in Malta, including transportation, accommodation, groceries, restaurants, entertainment, and more. When deciding which part of the island you want to live in, you should consider your interests. The areas of Sliema, St. Julian’s, Swieqi and Paceville are the most popular hubs for expats and Digital Nomads in Malta. These areas are a mix of residential and commercial buildings, with schools, clinics, numerous bars, grocery stores, shopping malls and more. This central / eastern area is where you’ll want to be if you’re looking to meet other expats, while enjoying the nightlife. The second most popular cities on the island for those wanting to live in Malta are St. Paul’s Bay, Qawra, Buġibba & Mellieha. These cities are located on the northern end of the island and have lovely beaches on offer. It’s a bustling area in the summer, and very quiet in the winter. A bonus of living in this area is that you will be closer to the ferry terminal to take you to neighbouring Gozo Island. Although amenities are available, this is a quieter part of the island, popular with retirees rather than younger Digital Nomads and expats. In the southwest, you’ll find Msida, Birkirkara and Ħamrun. Msida is home to the University of Malta, meaning there is a large student population here. Mgarr, Mosta, Mdina and Rabat are beautiful areas, but don’t have as many amenities that foreigners may be looking for. They are, however, most definitely worth a visit! First of all, the cost of an apartment in Malta will depend entirely on which part of the island you choose to live in. The historic capital city of Valletta, and the surrounding areas of Floriana, Sliema, St. Julian’s and Paceville are the most expensive, followed by the university area, and the northern towns. 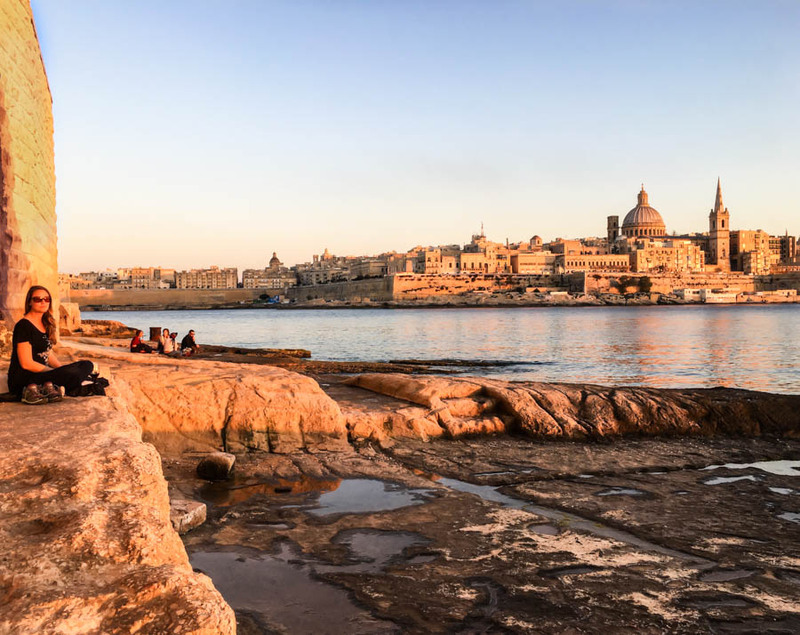 Although Sliema is busy and populated, it’s well located, has lots of amenities both in and around the city, is well-connected to Valletta and has numerous options for apartments. We chose to base ourselves in this part of Malta for those reasons. 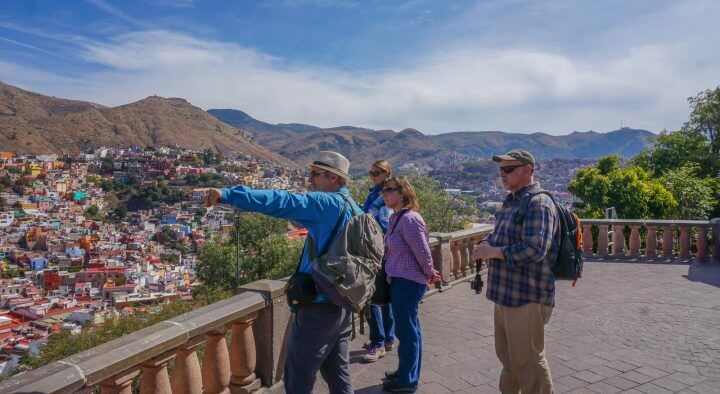 The best way to find an apartment for rent is to look online, or if you have time and would prefer to find a place once you’re in-country, you can hire an agent to show you around. But, be warned that you’ll need to pay a hefty fee to the agent – 50% of one months rent! If you’re renting long-term, this may be worth it, but for a shorter 3 month stay or less (which is the duration most Digital Nomads stay due to the Schengen Zone laws), it’s probably not worth the extra fee. You can also rent directly from the landlord if you see a “for rent” sign, and will avoid the agent fees by doing so. The most popular booking site is Airbnb.com, and while there are numerous accommodation options on there, there is also a high “service fee” and often cleaning fees added on as well. Having said that, we still recommend looking at Airbnb as you may find a place on that booking platform that isn’t listed anywhere else. As a tip, what we’ve done in the past is to find an apartment that we like on Airbnb, then try to find that host outside of the booking platform. This way, you can bargain down the price and lose the service charges as well. We ended up booking our apartment in Sliema with ShortLetsMalta.com, which had numerous options available on their website. Another option besides ShortLetsMalta.com is to check out local Facebook Groups, such as Malta: Share/Rent/Rooms/Flats or For Rent in Malta. Our apartment was located on a side street lined with traditional balconies, and was literally a 2 minute walk to the seaside promenade which had spectacular views across the bay to Valletta. Turning left out of our front door was a nice residential walk that eventually brought us to some stunning rock-cut pools. Another nearby walk brought us to the Manoel Marina where we’d stroll around and gawk at luxurious yachts! The huge Tower Supermarket was a 10 minute walk away, as was the fresh fish monger. Numerous restaurants, cafes, bars and shops were surrounding us as well. 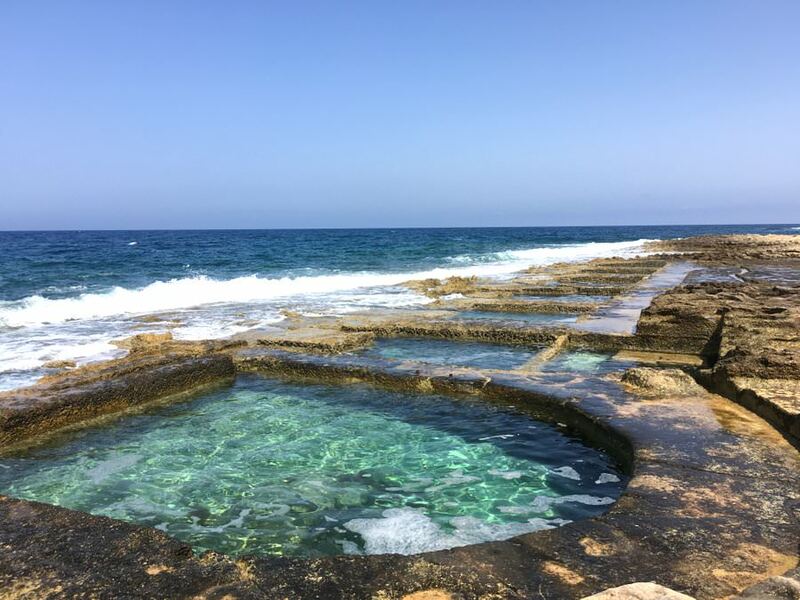 Although Sliema is a busy city, we found places that were quieter, and enjoyed having so many amenities around. Our Apartment: €980 / month ($1,125 USD), including all bills except electricity. Booked on ShortLetsMalta.com, longer rentals = cheaper monthly costs. In the grocery stores, you’ll find everything you want and need. But, still keep your eyes peeled for local vendors selling fruits and vegetables, and visit the fish mongers as well for the fresh catch of the day. These figures below are from Numeo’s website, but we’ve cross-referenced them with our own findings as well. Buying groceries, rather than eating out at restaurants, will definitely help to lower your cost of living in Malta. Note: It’s not advisable to drink the tap water in Malta due to high levels of chlorine and minerals. It is, however, perfectly safe to use for washing vegetables, brushing your teeth and boiling pasta. The Tower Market in Sliema is your best bet for buying groceries. It’s a 3 level store with canned goods, breads, deli and dairy on the main level, household goods and toiletries on the middle floor, and frozen foods and produce on the bottom level. No matter the type of food you’re craving, you’ll be able to find it in Malta – which is another bonus of living here! Not only is the cuisine varied, but so are the prices. From cheap street eats to high-end restaurants, there’s a place for every budget. Insider Tip: If you purchase the Malta Discount Card, you will receive 50% off of food at many restaurants around Malta and Gozo. The discount card can be used more than once at the same vendor. A one year pass is only €35. This restaurant / deli makes handmade buffalo mozzarella every day. The pizzas here are delicious, and they also have pastas, sandwiches and salads on offer. A margarita pizza will cost you €7.50, while bruschetta goes for €2. 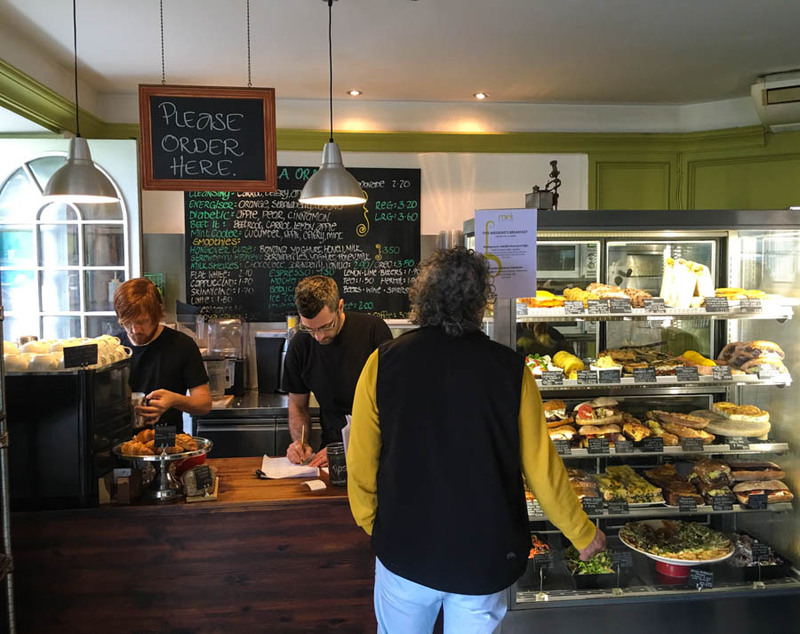 This cafe serves wholesome, healthy, organic food at a good price. The restaurant isn’t strictly vegetarian, but the menu offers many vegetarian and vegan meals. Sandwiches are from around €6, while a plate of food will cost you €9. Fresh fruit smoothies are €3.50 and lattes cost €1.50. Pastizzi is a traditional pastry stuffed with either mushed peas, or ricotta cheese. These are commonly eaten for breakfast, lunch or as a snack and can be found all over the island at pastizzerias. Arguably the best pastizzi is found in Rabat at Crystal Palace. These little pastries will set you back €0.30 a pop. This restaurant serves up healthy, wholesome food made with love. Tables at this little restaurant fill up quick, with many of them spilling out onto the streets of Valletta. Main courses here are around €12 and flatbreads are €6. A casual restaurant located on a waterfront promenade, serving up good food and great drinks (check out the happy hour) in a nice setting. This restaurant is always busy with locals and tourists. We recommend the focaccia bread with parma ham, rocket and parmesan. It’s a big portion and only costs €5.50. Tip: You can use the Malta Discount Card here to receive 50% off of food, not drinks. 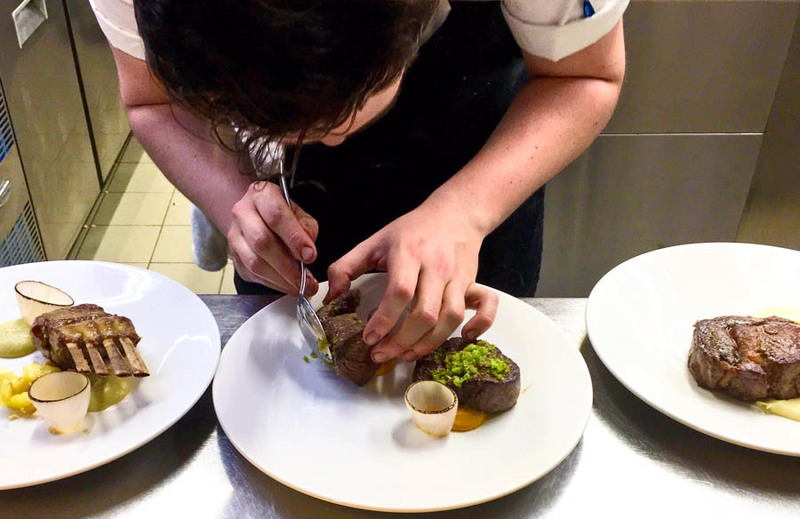 Other restaurants we recommend around Malta include: Tal-Ingliz Restaurant (Mgarr), Vinum Wine Bar at Fontanella (Mdina), Michael’s (Valletta), Fra Giuseppe (Balzan), and Country Terrace (Located on Gozo Island). You can use the Malta Discount card at Country Terrace as well to receive 50% off of food. During our two month stay in Malta, we didn’t have a rental car. 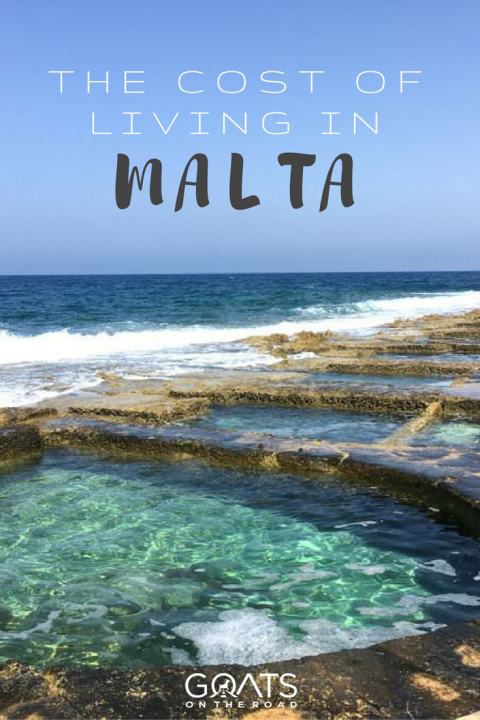 It would have made getting around to the lesser-known spots much easier, but there is a great public transport system in Malta and many of the places we went were easy to get to on foot. If you plan on travelling around the islands (Malta and Gozo) a lot, you may want to consider getting a Tallinja Transportation Card. This is a personalized card that you can add credit to. You’ll receive discounted bus rates (€0.75 / journey rather than €1.50 – €2), and the amount is capped at €26 / month. 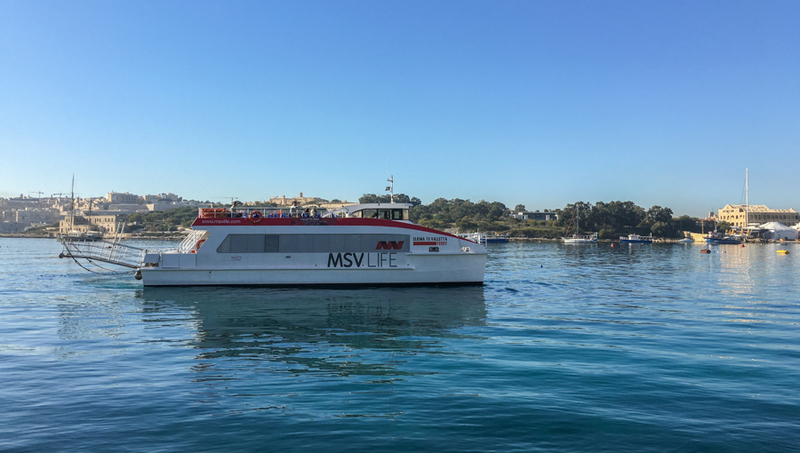 To get to Valletta from Sliema, your best bet is to take the 10 minute ferry-boat, which runs from 7:00am – 7:00pm in the winter, and 7:00am – 12:45am in the summer. Click here for the Valletta Ferry Services schedule and rates. 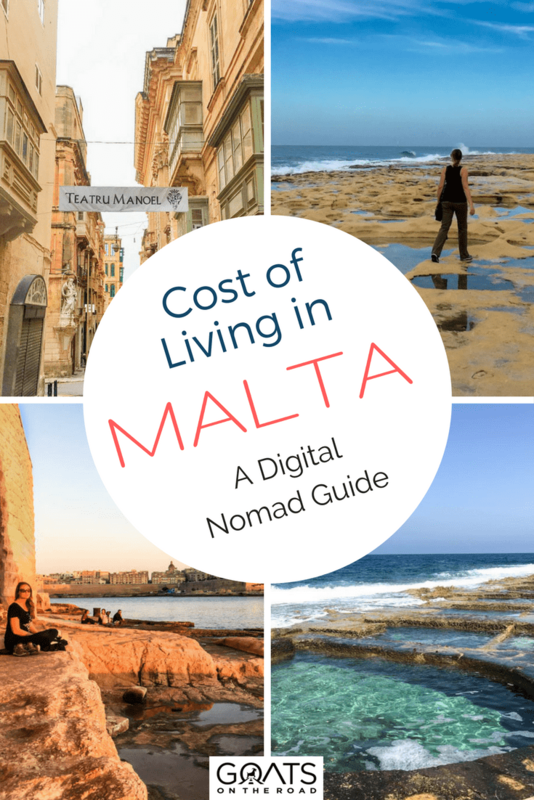 If you plan on living in Malta as a Digital Nomad, you obviously want to know about the wi-fi and data plans. First of all, the wi-fi is incredibly fast and stable in Malta. At our apartment in Sliema, we ran a speed test on the wi-fi and it came up as 30mbps, and we could download torrents at 3.5 – 4mbps! Uploading wasn’t as fast, but we had no issues uploading our videos to YouTube, or streaming shows. If you’re from a country in the European Union, you can keep your local SIM card and won’t pay any roaming charges when travelling to other EU countries. Click here to learn more about that. For those of us who aren’t from the EU, purchasing a SIM card in Malta will get you the best rate. To purchase a SIM card, head to one of the local phone companies. We went with Vodofone as it’s regarded as one of the best and most reliable on the island. Also, it had 4G prepaid plans. Keep in mind that some of the companies only have 3G, and make sure to check that before you buy. Unfortunately, as you can see from the photo above, the packages aren’t great for Digital Nomads who want to be connected all of the time. 500MB isn’t a lot of data. 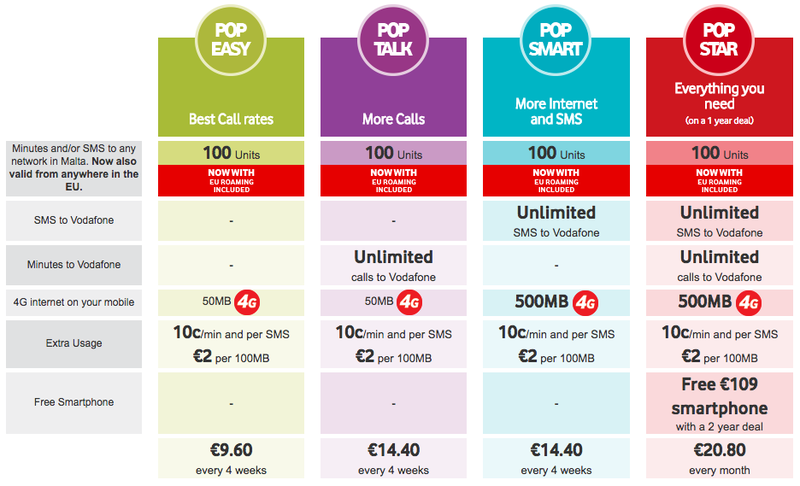 We went with the Pop Smart Plan, but needed to add-on an additional 3GB of data, for a total cost of €30 / month. This definitely wasn’t the cheapest plan we’ve had around the world, but at least it was 4G, and thankfully the wi-fi at our apartment worked very well. Although we find this to be an expensive option, many Digital Nomads choose to work at a co-working space. In Sliema, you’ll find Prints of Wales. The rates are as pictured below. For more information, click here to check out their website. Hopefully you don’t need an emergency visit to the hospital in Malta, but if you do, in my experience the quality of care is excellent. If you’re due for a medical check-up, perhaps consider having it done in Malta. I personally saw a doctor at the St. James Hospital, which is the longest running private hospital on the island, and my yearly check-up only set me back about $50. Click here to learn more about visiting the hospital in Malta, and click here for a free travel insurance quote with World Nomads. The great thing about living in Malta is that there are numerous things to keep you busy, many of which are free, which will definitely help to keep your cost of living in Malta to a minimal. 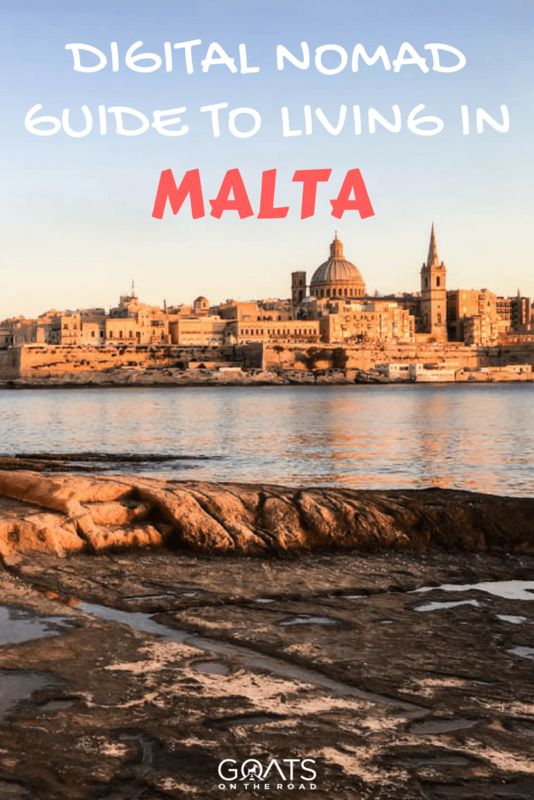 Check out our list below, and if you want more, have a look at this guide to Malta. Hiking: The Walks Of Malta are a network of trails that have been marked out around the islands of Gozo and Malta. Even though the main cities are quite developed, there’s actually a lot of undeveloped countryside, plus numerous historical sites and beautiful seaside scenery. Download a route map, pick a hike you want to go on, and follow the coloured markers. It’s easy, and free. The seafront stroll from Sliema to St. Julian’s is a great spot as well. 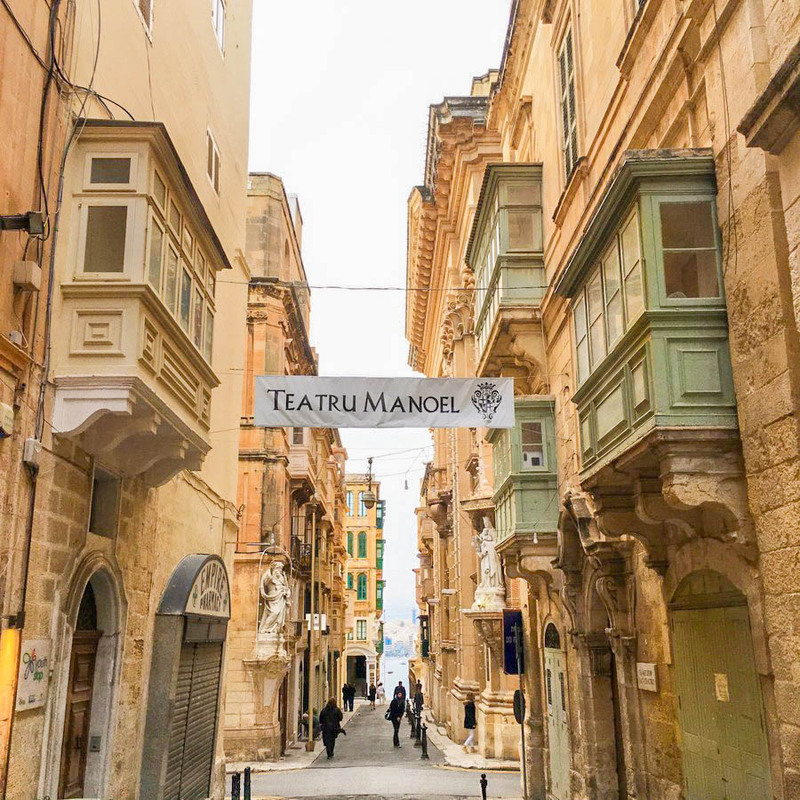 Visit The Theatre: Teatru Manoel is located in Valletta and is one of the oldest running theatres in all of Europe. Check out the symphony here if you have a chance. Nightlife: The nightlife options in Malta are endless! Around St. Julian’s area, just pick a bar or a pub that you like. If you’re in Valletta, Strait Street is always a good time, check out Loop Bar there, or the gin and whiskey bars! Isle of MTV is a massive concert in Valletta, which happens in June. There are some big bands at this event. For more on events around Malta, check out the Expat Malta Facebook Group. Fireworks: Depending on which time of the year you’re living in Malta, you may be able to see the International Fireworks Festival, which happens in April. The beautiful displays can be seen in Xaghra, Marsaxlokk and Valletta. Sea Adventures: Malta is an island, and it’s no surprise that many of the activities you can enjoy involve being out on the water. Sailing, scuba diving, snorkelling, swimming and kayaking are just some of the many things to do on the water! 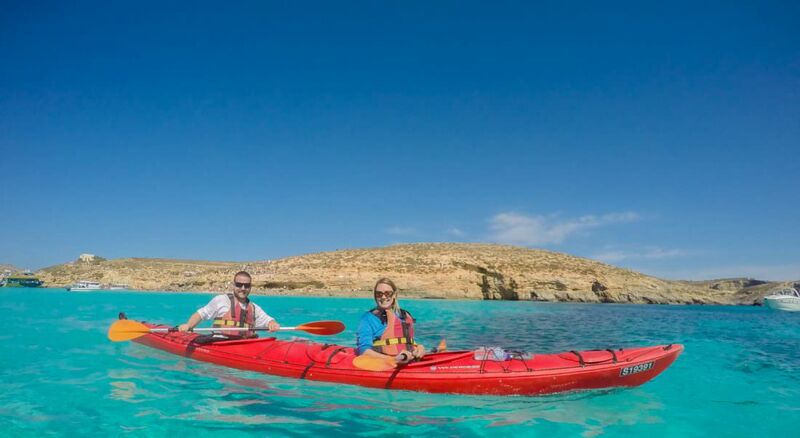 Gozo and Comino Islands are excellent spots for diving and kayaking. Walking Tour: To learn about the history of Malta (which is long, interesting and somewhat confusing! ), definitely consider going on a walking tour in Valletta, which is free. Click here to register and learn more. Visit a Winery: Due to its location and climate, Malta produces some excellent wine! It may not be as popular or well-known as its boot-shaped neighbour to the north, but the wines in Malta are great. Check out Marsovin Winery. Fish Market in Marxaxlokk: Every Sunday, this city holds a fish market and although touristy, ti’s still a nice way to spend the morning. Take bus #81 or #82 in Valletta and be warned that many people will be lined up waiting for the bus. Get there as early as possible. Experience The History: Malta’s history is incredibly rich and dates back 5,000 years. The Hypogeum is a must-visit, underground burial site. Only 80 people / day can visit the Hypogeum, so make sure to book your tickets well in advance (at least a month). Click here to book. Watch Sunset: In Sliema, near the mall, there are some steps leading down to rocks along the water (below the promenade). This is an excellent spot for swimming, and watching the sunset. The colours of the buildings in Valletta across the bay turn a beautiful golden hue. Bring a bottle of wine and enjoy. These are just a few of the many things to see and do during your stay in Malta. You’ll never be bored when you’re living here! Malta is an excellent country for Digital Nomads. 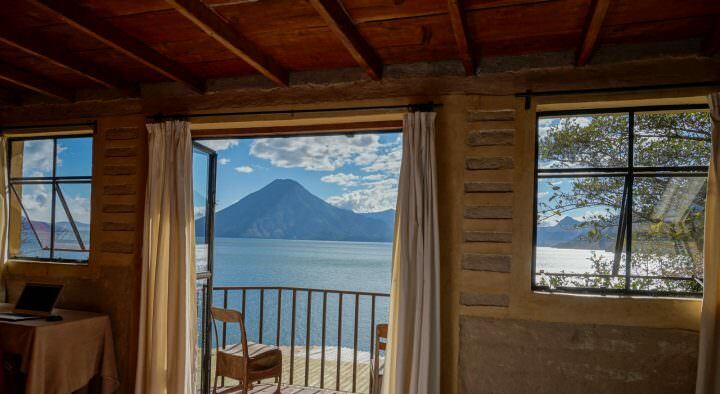 On top of having speedy wi-fi and numerous accommodation options available, it’s also and very affordable destination that offers great value for money. Now, of course this is just an estimate. Maybe you find a place for rent that is €750 and there are two of you sharing the cost. Maybe you eat more basic groceries (pasta, rice, etc.) and only spend €200 each month, or maybe you walk everywhere and only take 2 boat journeys in a month for around €4. The cost of living in Malta varies, but will be around €1,500 / month for 1 person at the midrange level. The next time you’re thinking about where to put down some temporary roots, consider Malta. This Mediterranean Island has welcoming people, good prices and endless options for things to see and do! I loved Mint Cafe! It’s Kiwi owned and reminded me a lot of the cafes back home in NZ. Malta is a fantastic country but I did struggle with the heat. The Airbnb apartments and hostels we stayed in didn’t have aircon and I don’t think I would want to stay there again in summer if there was no aircon in my accommodations. Haven’t been to Malta yet, but it s on top of the list 🙂 I do worry though that I might feel too claustrophobic; it’s a small island after all. You guys also had that?